It is not easy to find a Shop for during the events in Paris, that was why I searched for it a long time in advance. I was lucky to find it in the rue Visconti, and told people so in June, but was unlucky when I received a phone call to tell me the Shop "pas-de-porte" was sold to a Parisian dealer. 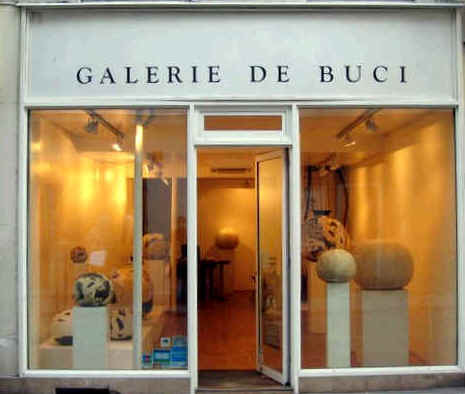 But now I am happy to have found another available Shop to meet you in September at 73 rue de Seine near de rue de Buci. I will be very glad to meet you between 11 and 16 september, and will show you some fine pieces coming from known collections. Come see my African Art exhibitions, and also don't miss the Parcours des Mondes show and other events in Paris at the same moment (like the "Salon des collectionneur") in the same period. I am not a member of this organisation, but handle the same selection standard in the selection of the pieces on Show, just compare by yourself.